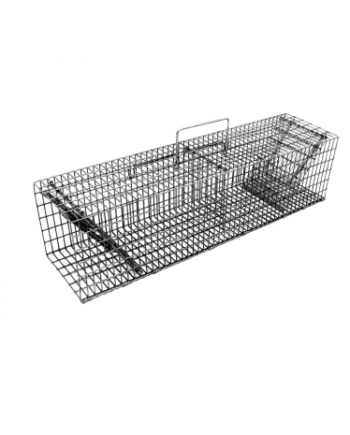 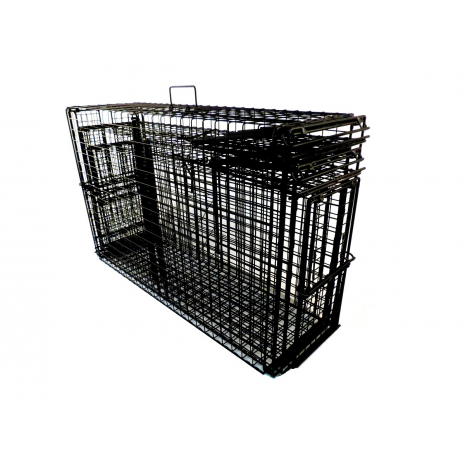 This handy multi purpose accessory was made to fit over the 9x11x24 Comstock Cage Traps with flush mount doors and bring capture time to a minimum for den animals like woodchucks, skunks, armadillos. 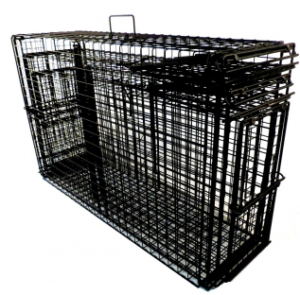 For transport, the nose cone fits over the cage, taking up no extra room. 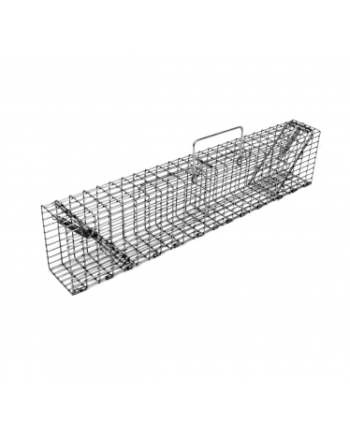 With no less than 3 uses, the nose cone can be used to direct animals into Comstock Double Door Cage Traps at den sites, either at free standing dens sites or dens located up against structures. 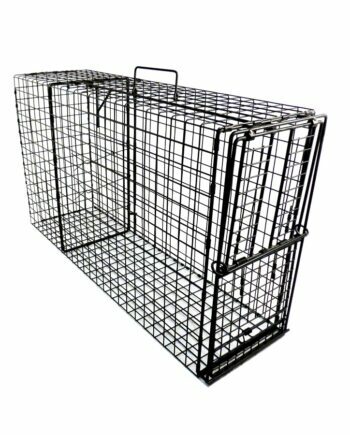 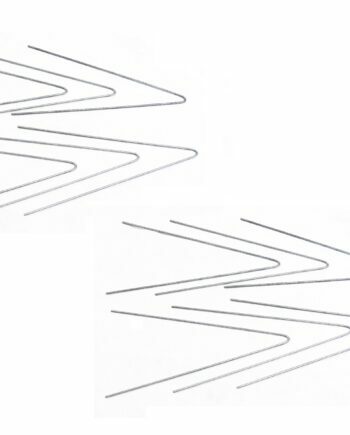 When placed sideways against structure, either one or two traps may be used. 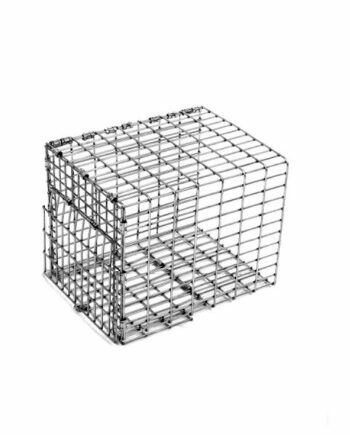 Secondly, when using bait with either single or double door Comstock Cage Traps, the solid nature of the nose cone prevents animals from reaching in to remove bait. 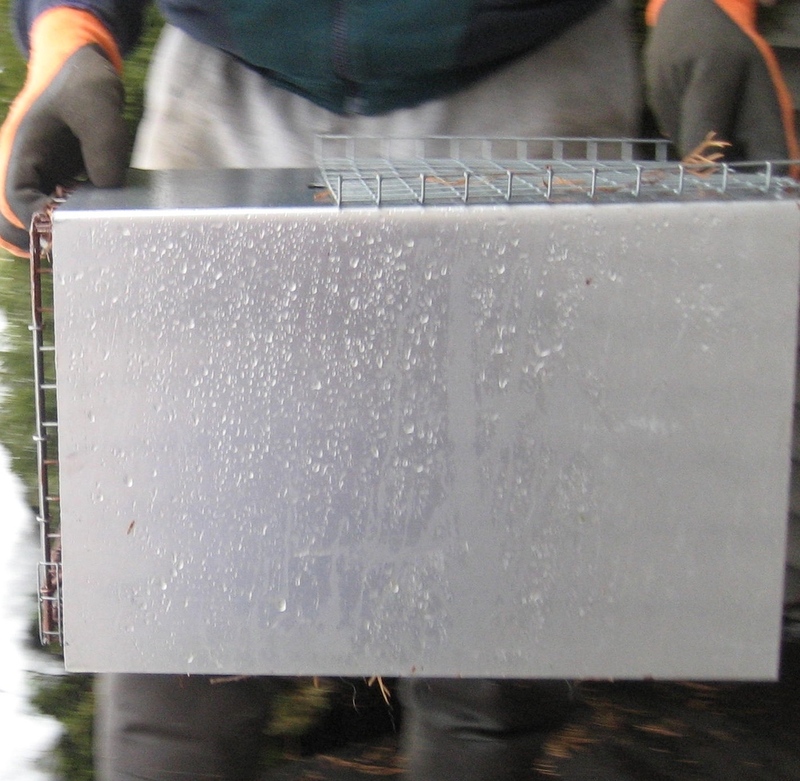 Third, when skunks are captured, the metal nose cone will all but eliminate problems from spraying. 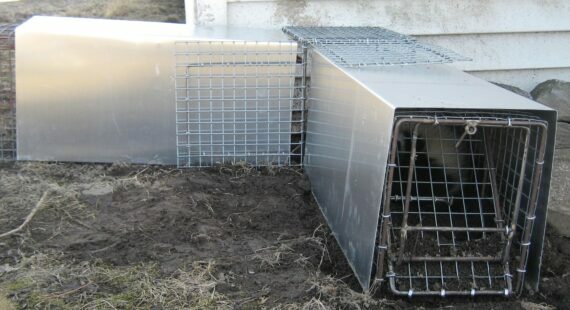 Additionally, covered animals are more protected from harsh sunlight, rain and snow. 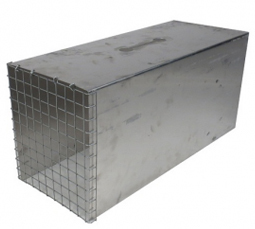 This accessory measures 24L x 9.5W x 11H and is constructed of galvanized sheet metal with a 1×1 wire mesh flap.